2nd Annual Warren Folk’s Festival at 30 Cutler Street. 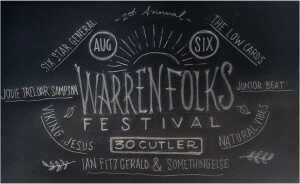 In its second year, the Warren Folk’s Festival is 2-8pm, Sunday, Aug 6, at 30 Cutler Street community arts and business space. It’s a family-friendly event that has tons of fun going on. Fuzzy drum-and-bass duo Junior Beat, singer-songwriter Jodie Treolar, psych-folk act Viking Jesus, alternative rock trio Six Star General, rootsy blues act The Low Cards, folk rock dynamos Ian Fitzgerald & Something Else and Natural Vibes featuring members of the reggae act Natural Element will be performing. Eli’s Kitchen and Balasco’s Pizzeria, among others, will have food available. 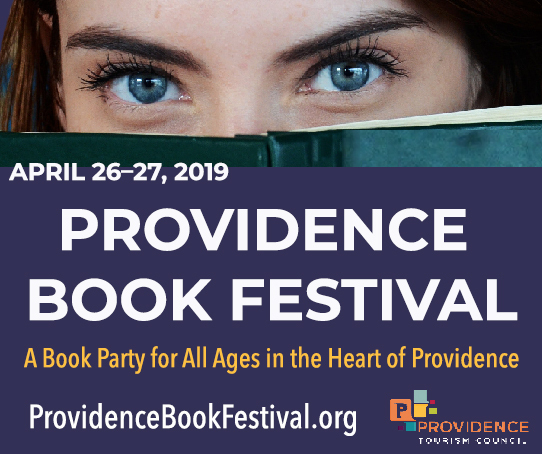 There will be a craft beer tent featuring brews from Lagunitas Brewing Company, Whalers Brewing Company, Two Roads Brewing Company, Left Hand Brewing Company and more. To make sure everyone can get involved, there will be games and a craft table for the kids occupied. The small town of Warren, RI, is admirably weird and unique. There are places like the Imagine Gift Store with arts, crafts, and figurines. The Galactic Theatre has become the coolest live music venue in the East Bay. Jack’s Bar is one of the best dives in the state and there are plenty of restaurants serving amazing food. Warren’s arts and music community is a major part of the town’s culture as well. The Folk’s Festival is free admission but all the proceeds will be going to the arts organization The Collaborative to help with their mission of bringing meaningful and fun events to the community of Warren and to provide an environment that supports, encourages and celebrates the diverse talents within Rhode Island. It promises to be an exciting event so spend your Sunday afternoon in a wonderful little town with music, art and enjoyment all around.